The desire of the will is not satisfied by any good, as long as we believe that there is yet another beyond it. Therefore, the will is satisfied only by that one good beyond which there is no further good. What can this good be except the boundless God? Sense ... can perceive neither itself nor intellect and the objects of intellect; whereas intellect knows both. ... Therefore, intellect is not only more perfect than sense but is also, after perfection itself, in the highest degree perfect. 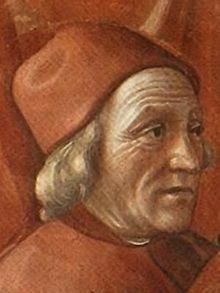 Marsilio Ficino (19 October 1433 – 1 October 1499) was an Italian scholar and Catholic priest who was one of the most influential humanist philosophers of the early Italian Renaissance. The people who have discovered something important in any of the more noble arts have principally done so when they have abandoned the body and taken refuge in the citadel of the soul. The intellect is prompted by nature to comprehend the whole breadth of being. ... Under the concept of truth it knows all, and under the concept of the good it desires all. The inquiry of the intellect never ceases until it finds that cause of which nothing is the cause but which is itself the cause of causes. This cause is none other than the boundless God. Similarly, the desire of the will is not satisfied by any good, as long as we believe that there is yet another beyond it. Therefore, the will is satisfied only by that one good beyond which there is no further good. What can this good be except the boundless God? The rational soul in a certain manner possesses the excellence of infinity and eternity. If this were not the case, it would never characteristically incline toward the infinite. Undoubtedly this is the reason that there are none among men who live contentedly on earth and are satisfied with merely temporal possessions. Sense, as you yourself have shown, can perceive neither itself nor intellect and the objects of intellect; whereas intellect knows both. ... Therefore, intellect is not only more perfect than sense but is also, after perfection itself, in the highest degree perfect. When the object of sense is very violent, it injures sense at once, so that sense, after its occurrence, cannot immediately discern its weaker objects. Thus extreme brightness offends the eye, and a very loud noise offends the ears. Mind, however, is otherwise; by its most excellent object it is neither injured nor ever confused. Nay, rather, after this object is known, it distinguishes inferior things at once more clearly and more truly. This page was last edited on 21 July 2018, at 17:09.